Tiger Woods could not have been more pleased for close friend J P McManus after Limerick’s stirring All-Ireland GAA title triumph. John Kiely’s men ended a 45-year winless drought and with McManus among the first to congratulate the side and then join in the Croke Park celebrations. 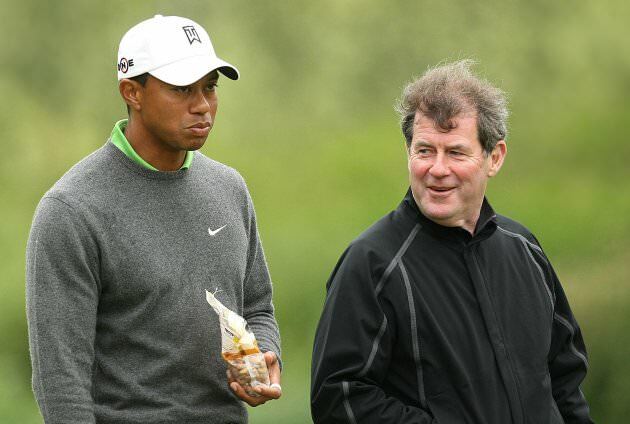 Woods has been a close friend of the legendary Irish race horse owner since the late 90s and well before coming to Ireland in 2000 and walk off with the JP McManus Pro-Am first prize at the Limerick Golf Club. And in confirming he will be teeing-up in the July 2020 version of the event at Adare Manor, Woods spoke of his delight for McManus and the Limerick team. “JP is one of my dearest friends and it’s cool his Limerick team finally won the title as I know how passionate he is about his hurling as well as his love of horse-racing and, of course, golf,” said Woods. “I remember one year I was over for his Pro-Am and JP took me to a hurling match. I thought it was pretty neat but not a sport I would want try (smiling). “I try to keep in contact with him as much as our time allows but that’s great news for JP and Limerick and I’m really pleased for him as JP just does so much for sport in Ireland. “I’m not sure when we’ll catch-up next but I do know I am looking forward to going back to Ireland in 2020 for his Pro-Am at Adare Manor as it’s been a long time since we played the Pro-Am. “It’s again right before The Open and I’ve always supported the event. “I see we’re heading to JPs Adare Manor as I knew guys like Rory (McIlroy) and Paddy (Padraig Harrington) were over there just after the Masters for a grand re-opening so it all sounds pretty exciting.